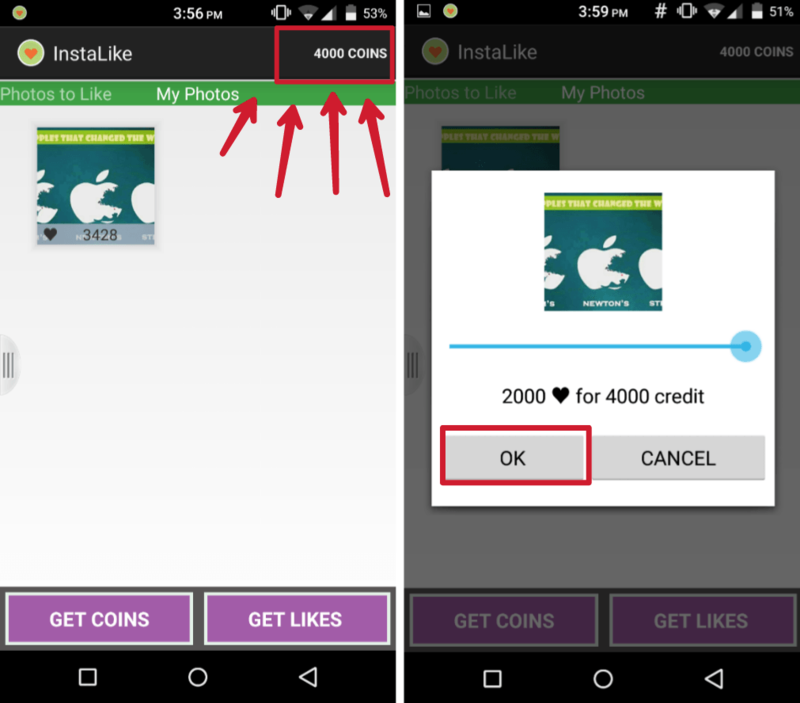 InstaLikes is an application that will like your Instagram pictures for points, but getting points is hard, so we will modify the InstaLikes app using CheatDroid. - Android and Root required. - I think you know how to install .apk files. - Don't hack more than 10000 likes daily, i recommend hacking only 5000 daily or your Instagram will get banned. - I'm not responsible for any bans. 2. Don't open CheatDroid yet, open InstaLikes. 4. After you have succesfully logged in using InstaLikes, you will see a Get Likes button on the bottom right corner. Press it. 5. 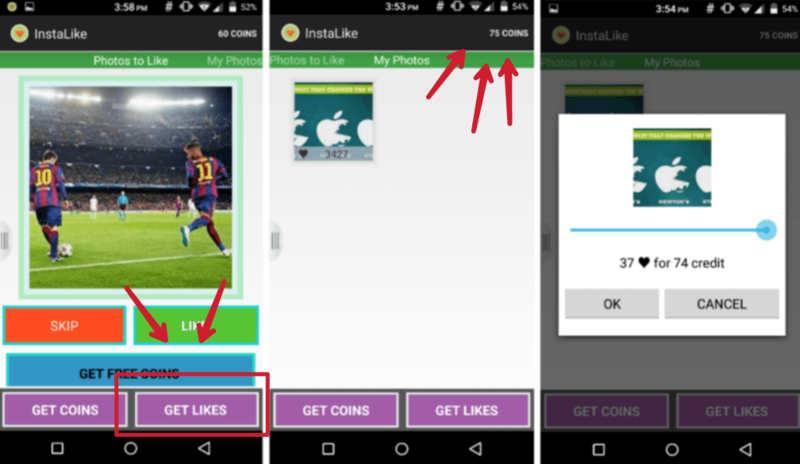 On the top you will see your credits which you can use to get likes. 6. 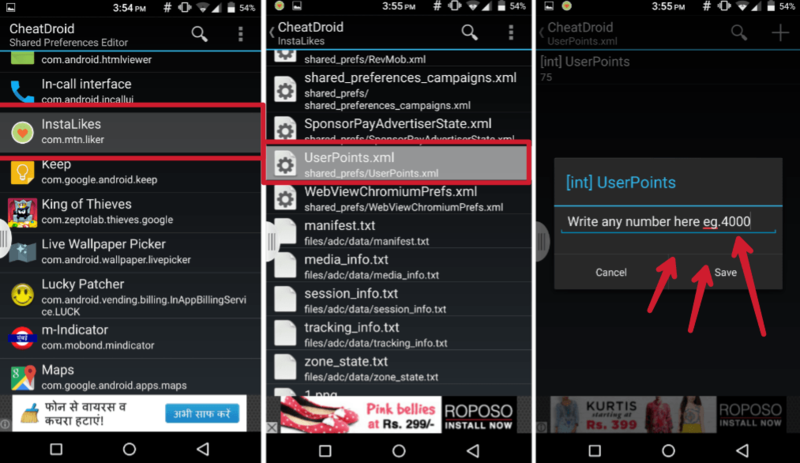 Open CheatDroid and search for InstaLikes. 7. Scroll and and find "UserPoints.xml". 9. Next, close all apps and open InstaLikes again. If there's anything you have problems with, ask! and write me on skype!!! i wanna make u mod again!!!!!! thanks man, i will test it.